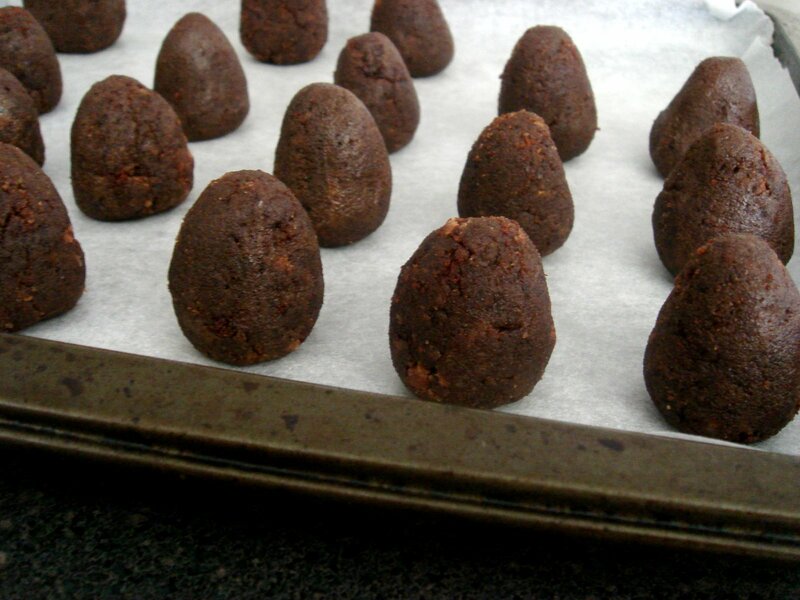 >Very cute egg shapes! I also like the idea of the dulce de leche, though I worry about it being overly sugary if not used wisely. 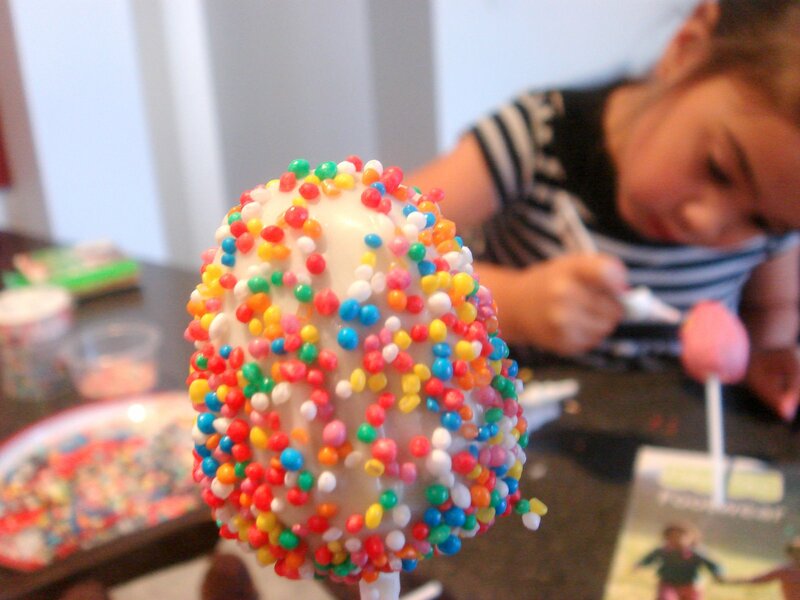 I also did the cake pop dipping with my kiddo and he was enjoying it, probably would like it more if there were more colors and things to do besides the dipping… he was more interested in eating them! 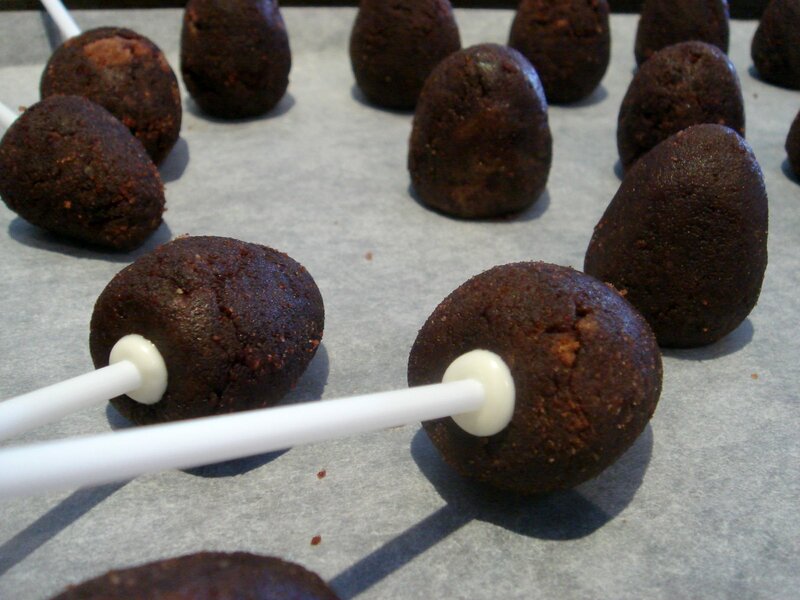 >Great idea to reuse cake trimmings. Will bear that in mind for next batch. And how cute are you shapes! 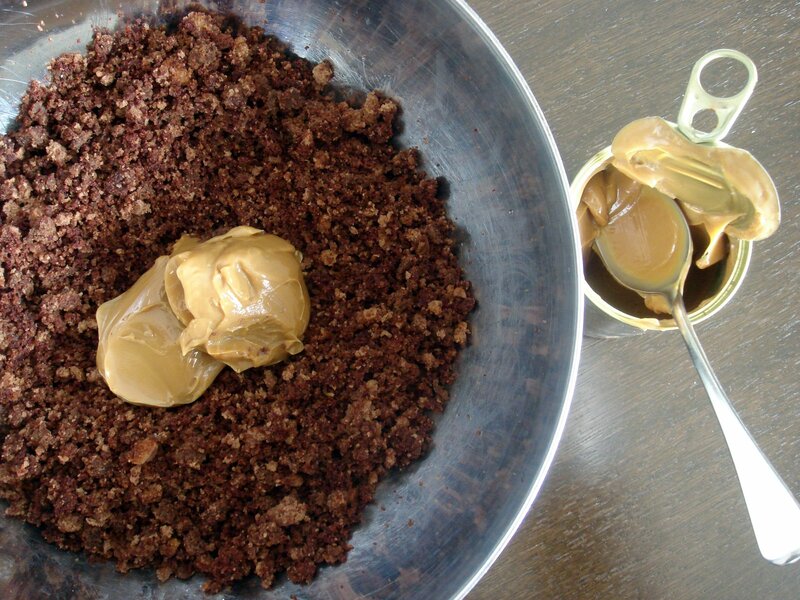 >You had me a dulce de leche – yum! 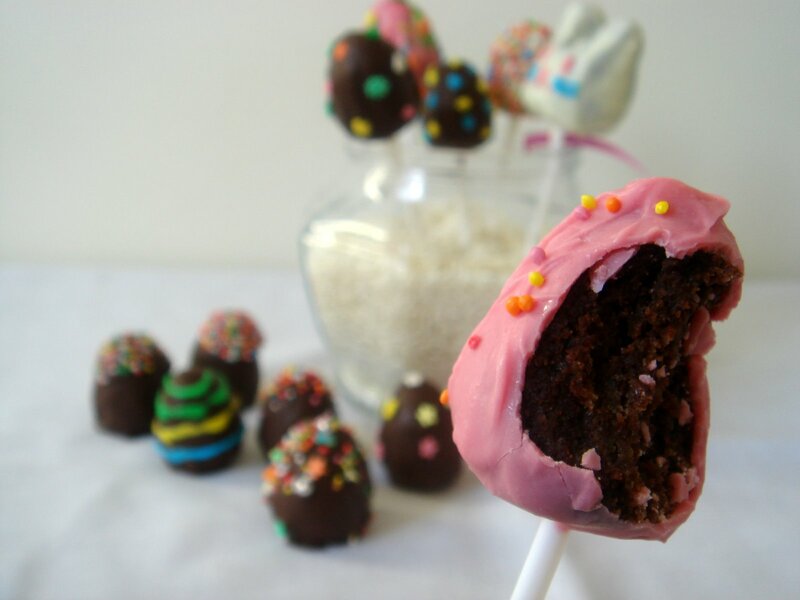 Your Easter cake pops turned out absolutely adorable! >Cherie, you and your daughter make it all look so easy! And I love the Easter theme and Hello Kitty, by the way. >I'm so impressed by everyone's efforts with this IIP! I'm not very patient when it comes to decorating-involving baking, so I decided to keep up my spectator role 🙂 So fun to make these with your family! >Excellent idea to follow an Easter theme 🙂 Love the colours, and the texture would be a nice change from the usual eggs! >So cute, I have been looking for a special activity to do with my nieces and i think this would be just perfect! >Look at Deanna.. hard at work and concentration there! The bunny looks so cute! 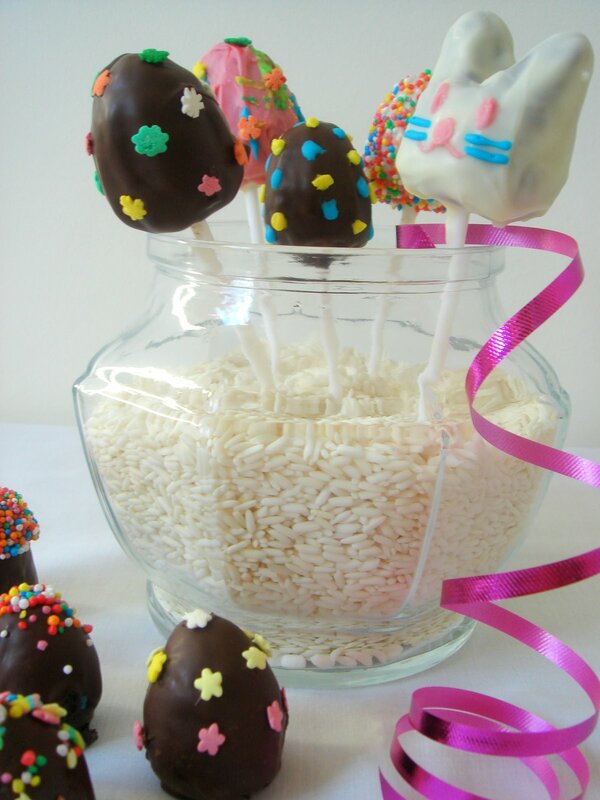 >These are totally adorable and what a fabulous idea for Easter. How fun that your daughter got to decorate them – all the time I was making mine, I couldn't help but think that I needed a child around to share in the joy and the mess LOL! >Oh too cute! Love your festive shapes =D. >These are so cute and pretty! 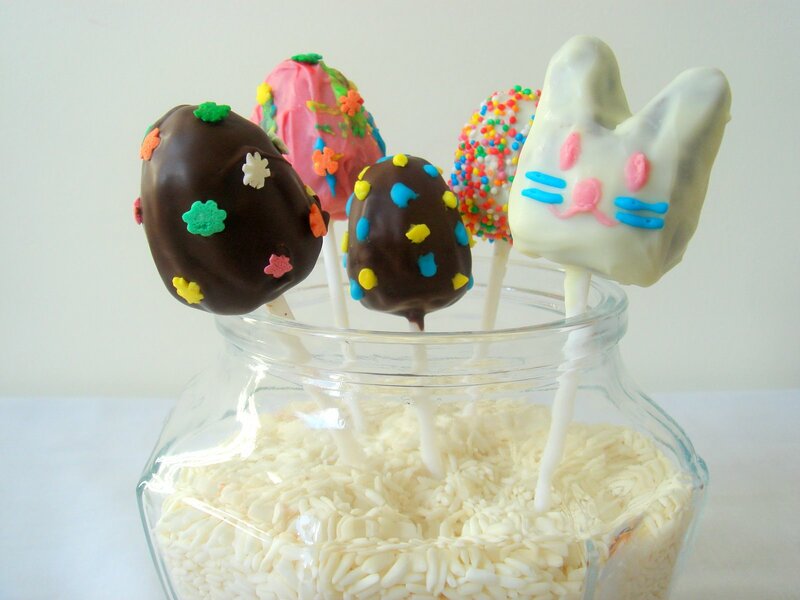 Love the way you decorated the cake pops together with your daughter.Happy Easter! >Ah, what a great Easter Theme! And what a lucky little helper you have there. Have you managed to eat them all by now? >Great job. It looks great. 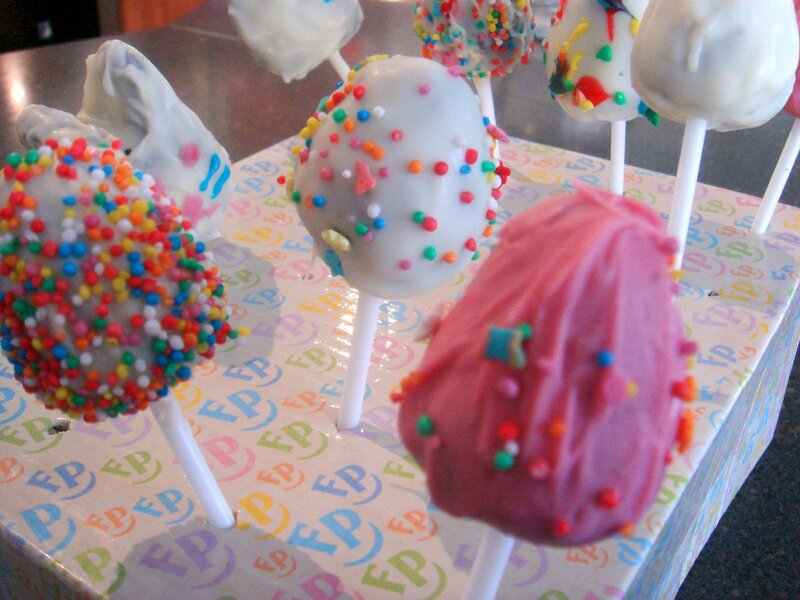 >i have yet to make cake pops but the minute i heard dulce de leche well cake pop making here i come! these look great. thanks for the step by step!